Harlequin Superromance brings you three new novels for one great price, available now! Experience powerful relationships that deliver a strong emotional punch and a guaranteed happily ever after. 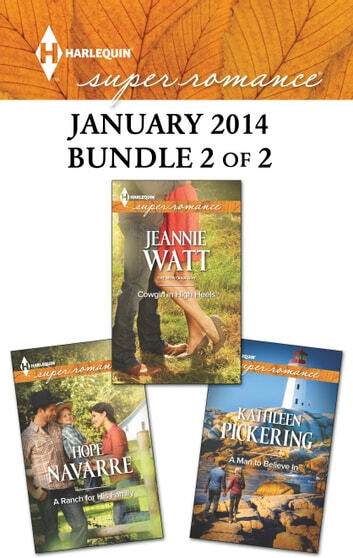 This Harlequin Superromance bundle includes A Ranch for His Family by Hope Navarre, Cowgirl in High Heels by Jeannie Watt and A Man to Believe In by Kathleen Pickering. Enjoy more story and more romance from Harlequin Superromance with 6 new novels every month!